Not ... Just Another Brick in the Wall! The side wall of the Washington Arms (2002). 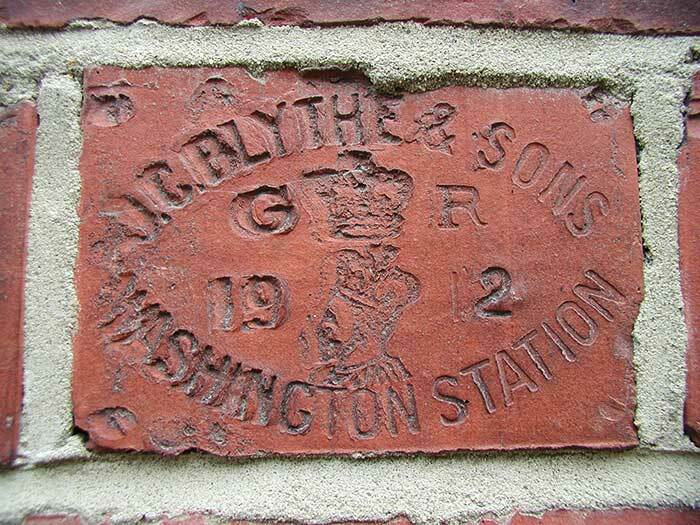 Keith informs me that there were 6 or more such bricks in the wall when this photograph was taken. Blythe's Brick Works is centre picture, just above the lower pond. The pond was created by clay extraction for the Brick Works. 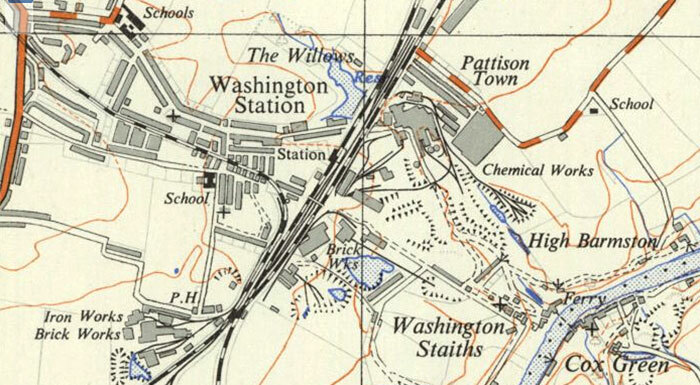 Wensleydale Ave / Old Power Station (middle-right). 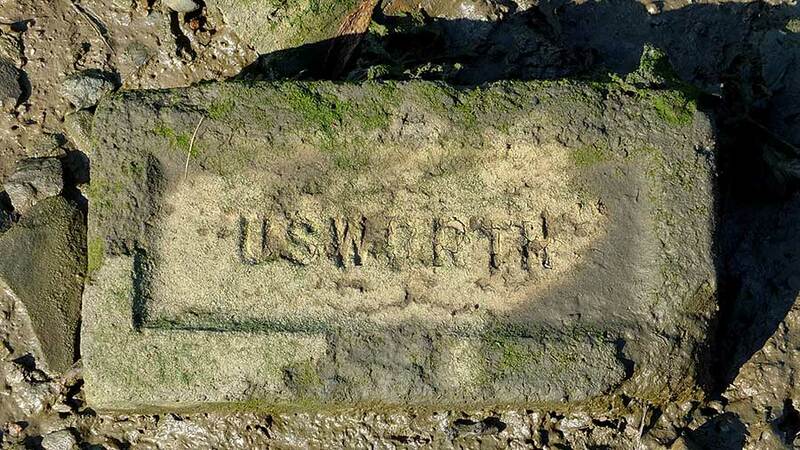 To read a Brief History of Usworth Brickyard ... Click Me. on the south bank of the River Wear, about half a mile upstream from the Northern Spire Bridge. 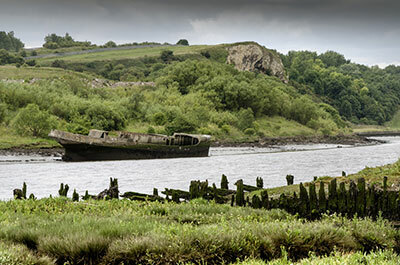 Cretehawser was built by the Wear Concrete Company in 1919, when steel was in short supply. Two sister Tugs were called Creterope and Cretecable. 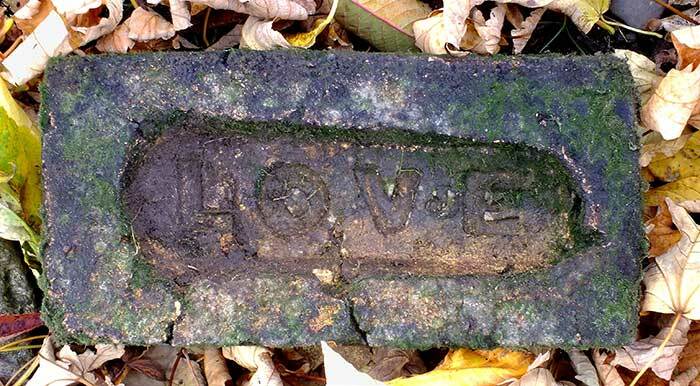 "I found the above brick along the banks of the river at Washington a couple of years ago; it conveys a fine message indeed! There are many such bricks along the riverbank, but finding one in good condition is a bit more difficult. 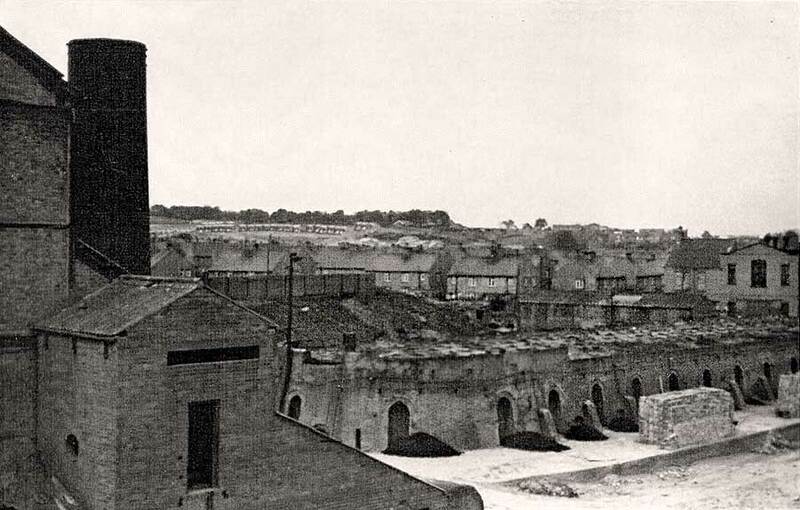 and Brickworks. They must have been used extensively around the area." Cheers Keith, you're a Brick!